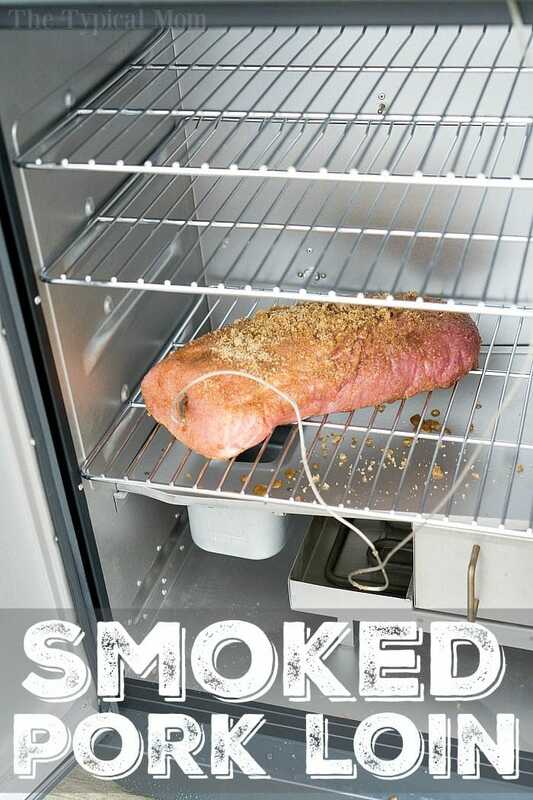 Easy electric smoker recipes are here for you to try and enjoy. 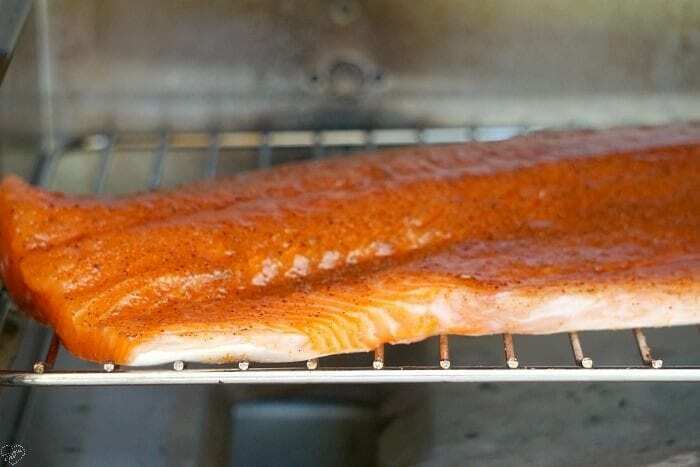 Tips on how to use an electric smoker and easy marinades and rubs for fish, beef, and chicken too. 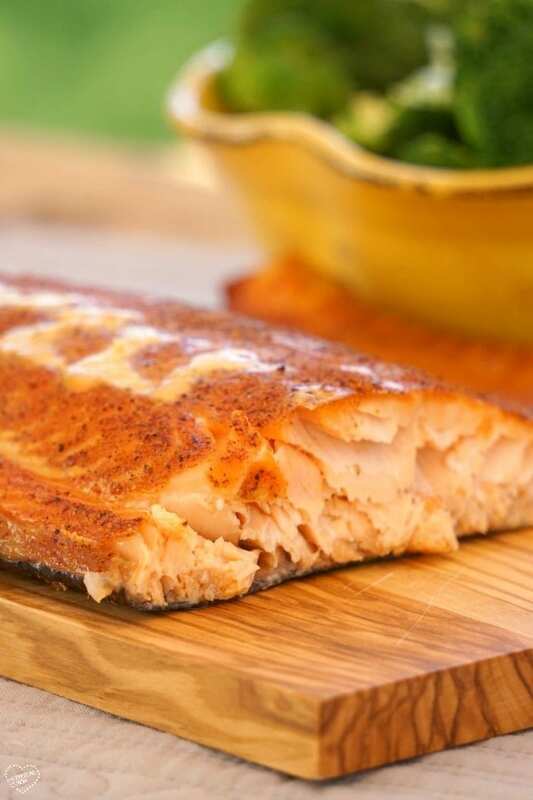 If you’re new to smoking meats and fish you are in for a real treat! It reminds me of the college fridge I had. Nice looking, compact, and really easy to use. 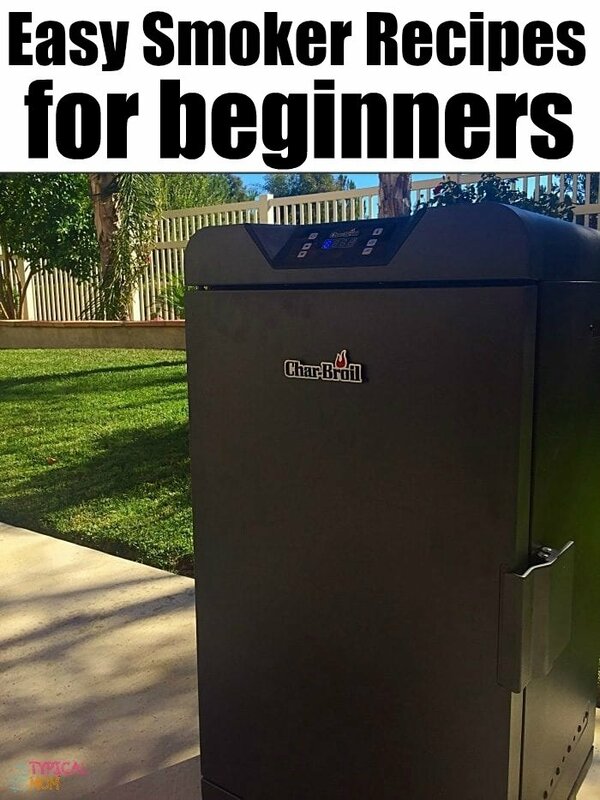 I’m all about easy electric smoker recipes when it comes to cooking. 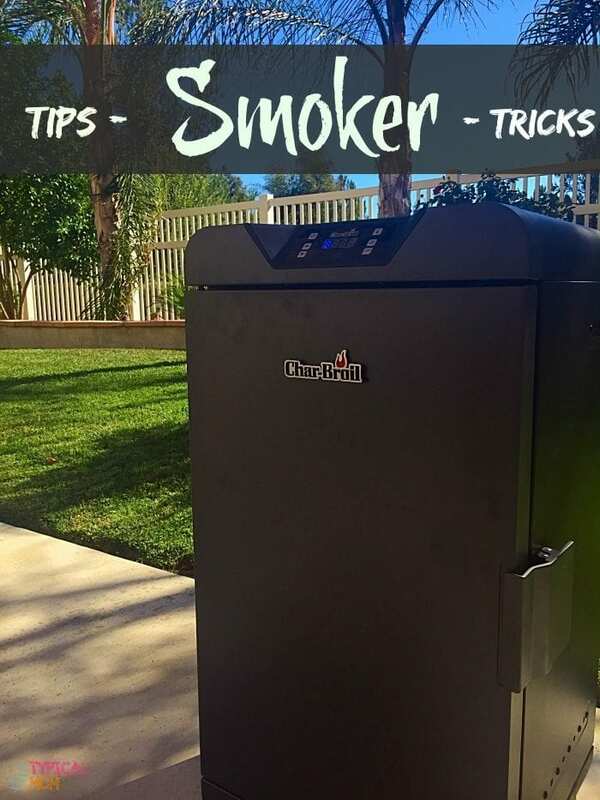 Let me show you how this Char-Broil Digital Electric Smoker works. Any brand works for these, have a masterbuilt electric smoker, or pellet grill, no problem. You need to “cure” it. That means you’ll want to set it to a high temperature (about 275 degrees). Turn it on for approximately 2 hours. Make sure you have the vent open all the way. Set in a well ventilated area as it will billow quite a bit of smoke. It removes the oils, dust, and other materials left over after it’s been manufactured. Once that is done and cooled just wipe the inside down with some water, leave the door open so it can air dry. When your electric smoker has been cured you are ready to cook! Just add water in the container on the bottom. It even has a fill line so you don’t add too much. Add wood chips to the bottom bin on the right. Add your food on the racks and you’re done! Like I said, the Char-Broil Digital Electric Smoker is super easy to use. It also includes the washable temperature probe that monitors the meat temperature. Then automatically stops cooking once it reaches the pre-set done temperature, reducing to a warm setting until you’re ready to eat. There are many types of wood chips. You can find them here or at your local hardware or grocery store. Each one creates a unique flavor for your food. Depending on what you’re going to cook you will want to try a few different types along the way to see which you prefer. We like a heavier smoky flavor so we typically use mesquite. But for fish apple wood chips are really great too. 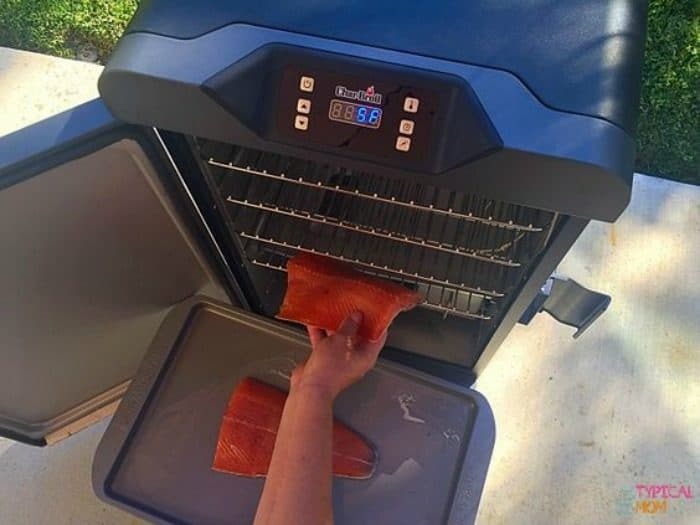 We used this to show how to smoke salmon. Many times it will say on the bag whether they are best for beef, fish, or chicken. 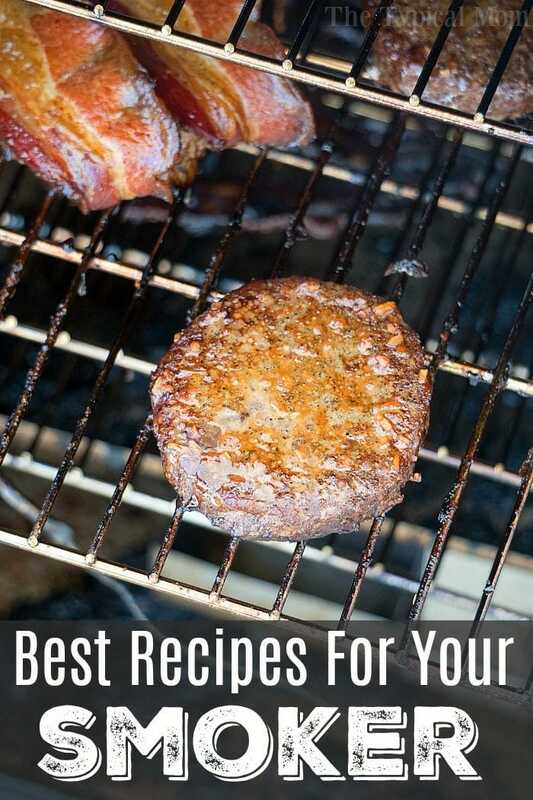 But with any electric smoker recipes you should use the chips you like personally. The next night we cooked 2 tri tip steaks and used a rub consisting of salt, pepper, and some garlic powder. This time we didn’t rinse it off but rather left the rub on when putting them in the smoker. It took about an hr. using the same method as we cooked the salmon. They came out great! First look at a meat smoking chart and find the temp. needed. Then make sure you use a non stick spray on the shelves. You can also put some olive oil on a paper towel and rub it down. Or we have sliced an onion in half and rubbed the sliced side of the onion on the grates to make them non stick naturally! We only had a large piece of fish that we cut in half this time. If you have a lot of meat make sure that the majority is on the top shelf. You’ll want the least amount on the bottom to avoid blocking the smoke from rising. Now just close the door and come back in the allotted time according to your dish (it took about 1 hr. for this salmon). This is the best way to smoke ribs where they come out oh so tender and flavorful with this dry rub recipe. Use the best dry rub here for over the top steaks. The best Smoked bacon wrapped pork chops, with smoked bacon is amazing!! Have you tried smoked baked potatoes yet??!! Pulled pork in your smoker, well enough said there! Fabulous Smoked prime rib is great for Christmas dinner idea. Like I said, we cook outside a lot and use our charcoal grill all the time….but for an easy set it and go smoky flavor a smoker is the way to go. Awesome post for all. Keep it for all. Loved the salmon, Very good. Thanks for a great recipe and Merry Christmas. 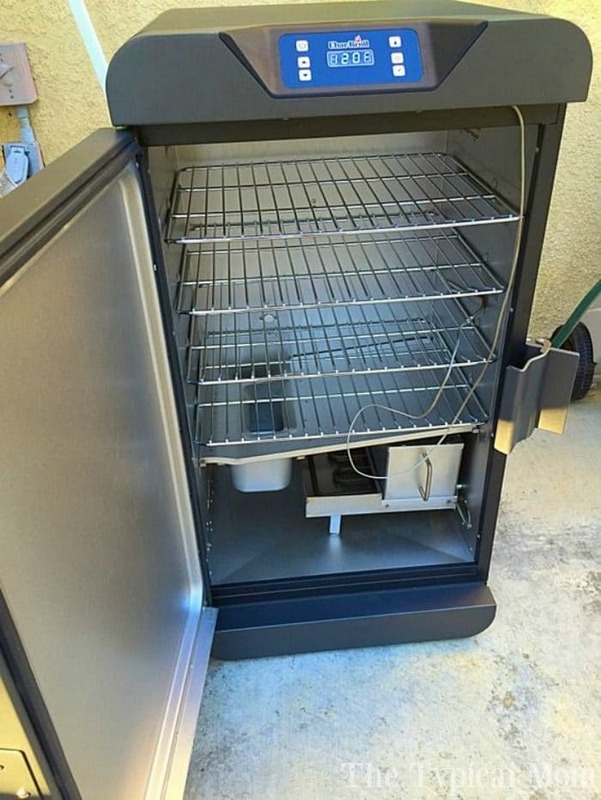 Hi, we have just purchased a smoker, not this one i might add. However we have hunted high and low and cant find out how long you have soak the wood chips…any help would be greatly appreciated. I would say at least an hour. I’ve also skipped soaking and it worked out well. I only add chips for the first few hours. 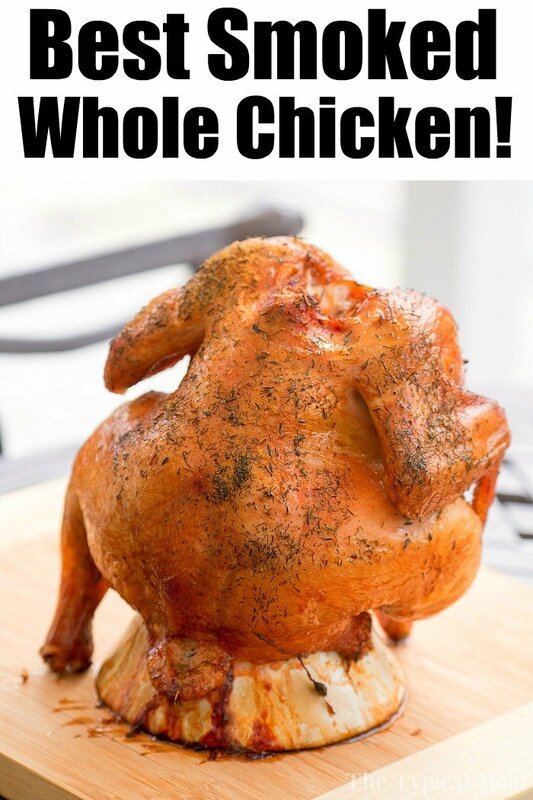 After that, you got a pretty good smoke flavor and you are now cooking like an oven. Super easy. Great resource beginner i sure.